A study published today in Nature Communications by researchers at San Diego State University (SDSU), the University of Hawai'i at Mānoa, Scripps Institution of Oceanography and others revealed that the bacteria present in the water overlying dozens of coral reefs changed dramatically during the night, and then returned to the same daytime community as observed the morning before. Further, as if these communities were all privy to the same schedule, these changes were synchronized across reefs separated by hundreds of miles. "Investigations of day-night rhythms of reef processes are required to holistically understand the functional roles of microbial players in these ecosystems," said Linda Wegley Kelly, adjunct assistant research professor at SDSU and co-lead author of the study. 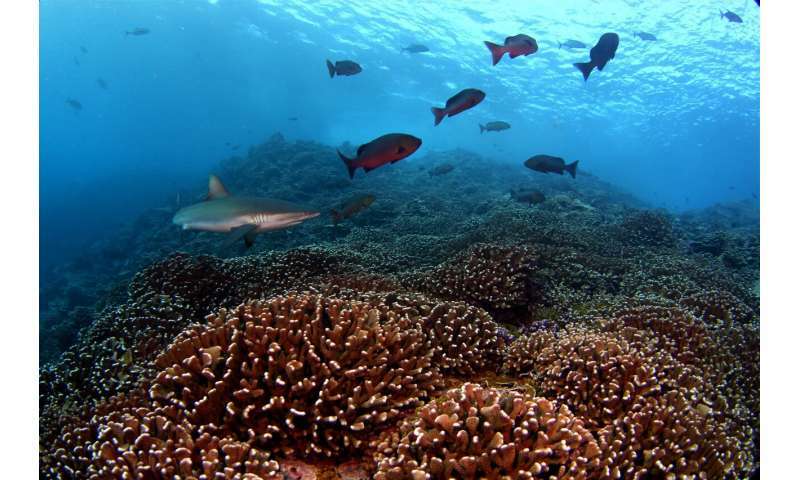 In 2013, an international team of researchers conducted a cruise to the Southern Line Islands, a remote chain of equatorial islands south of Hawai'i, to measure a suite of reef processes. 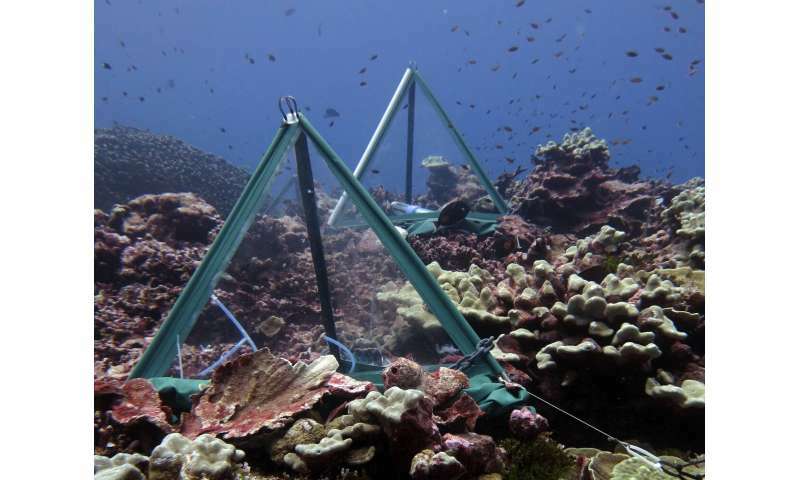 To avoid the hazards of boating and dive operations at night, an autonomous sampler was designed to collect a water sample just above the coral reef at midnight. Collecting samples in this way, the researchers measured changes in the water chemistry and the types of microbes present compared to the daytime at numerous sites. The team also used genomic tools to show how these community changes determine the microbial processes in reefs that differ day and night. "Previous studies of marine microbes have shown that different functional groups change their activity over the day, but microbial populations remain relatively constant over diel cycles," said Craig Nelson, assistant professor of oceanography at the UH Mānoa School of Ocean and Earth Science and Technology and study co-lead. "Those who study reefs know that these ecosystems change significantly from day to night, but this study reveals one previously invisible aspect of that change: a dramatic and predictable shift—not only in what microbes are doing—but which groups are most abundant." "The changes we observed in microbe composition over a day-night cycle imply that coral reef habitats manipulate the surrounding seawater—both the chemistry and microbiology—based on the diurnal and nocturnal activities of the collective local biota," said Kelly. "This function may modulate the number of microbes in the water, promote cycling of energy through the reef food web, or provide stabilizing effects to the ecosystem." 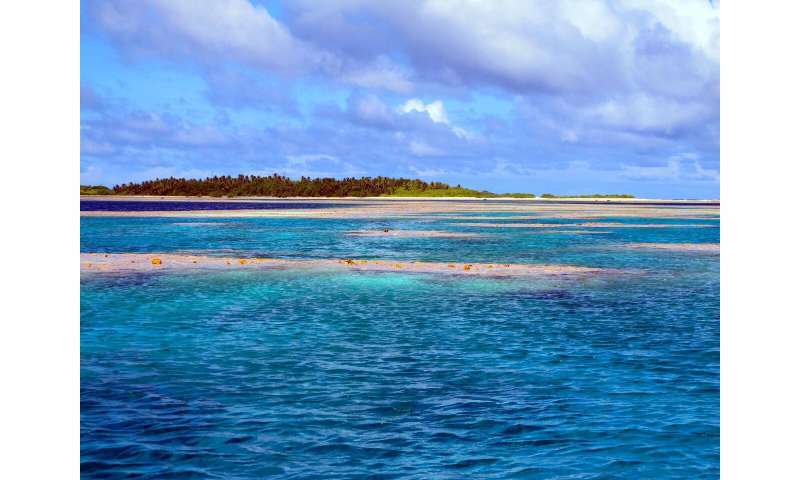 "This research team is among the first to look at changes in the microbial communities of coral reefs through both day and night," says Dan Thornhill, a program director in the National Science Foundation's Division of Ocean Sciences, which funded the study. "These scientists found surprising and remarkable differences in microorganisms depending on the time of day. The study also uncovered the important role of nighttime microbes in recycling nutrients on reefs."